In a city still recovering from the ravages of plague and fire, two doctors crisscross the boundaries of morality. It is a challenge that leads Sir Edmund Calcraft, an eminent and notorious anatomist, and Joseph Bendix, his ambitious young student, into playing a dark game with the growing criminal underworld. At the heart of the book lies a haunting love story that both drives and threatens to destroy their quest. In gallows and madhouses, in anatomical laboratories and a “Frost Fair” set on the frozen Thames, the two men engage in a competition involving both head and heart. 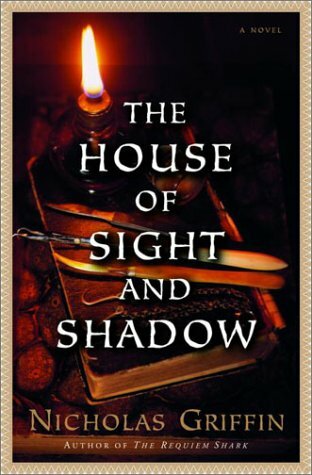 Mixing history, myth, medicine, and fiction, The House of Sight and Shadow is a compelling tale about the fallibility of both love and reason. Nicholas Griffin grew up in England and New York and wrote his first novel, The Requiem Shark, after genealogical research turned up a pirate in his family tree. He is at work on a third novel, also set in the eighteenth century, about a group of troublesome young Englishmen on a grand tour of Italy.